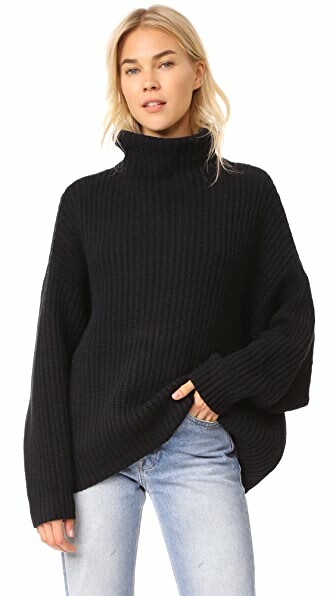 Exclusive to Shopbop. A lightly textured Marysia Swim maillot in a one-shoulder silhouette. Contrast beads accent the neckline. Scalloped edges. Double-layered. 88% polyamide/12% elastane. Hand wash. Imported, China. This lightly textured Marysia Swim bikini top has scalloped, laser-cut edges. Slim shoulder straps and ties at the back. Removable padding. Lined. 88% polyamide/12% elastane. Hand wash. Imported, China. Bottoms sold separately. A Marysia Swim bathing suit with a touch of texture. Scalloped edges. Lined. 88% polyamide/12% elastane. Hand wash. Imported, China. An asymmetrical Marysia Swim one-piece with front cutout and gathered effect at the cups and waist. Slide-lock clasp. Lined. 75% polyamide/25% spandex. Hand wash. Imported, China. Lightly textured Marysia Swim bikini bottoms, cut in a classic hipster silhouette with signature scalloped edges. Lined. 88% polyamide/12% elastane. Hand wash. Imported, China. Brazilian SAME SWIM bikini bottoms, accented with eye-catching contrast embroidery. Lined. 82% nylon/18% lycra spandex. Hand wash. Made in the USA. 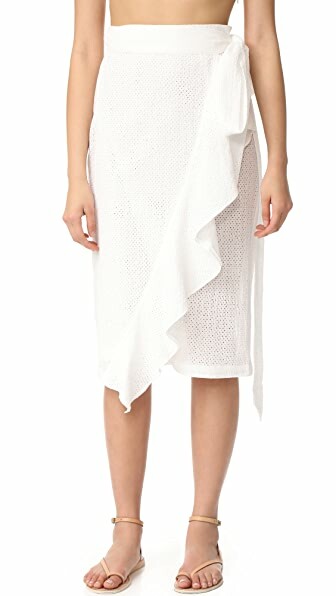 A flirty Norma Kamali swimsuit with a flounced skirt overlay. Seamed underwire defines the cups. Adjustable straps. Lined. 87% nylon/13% spandex. Hand wash. Made in the USA. 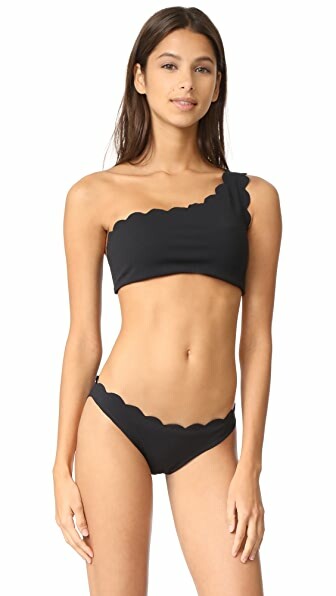 This lightly textured Marysia Swim string bikini top is trimmed with signature scalloped edges. Slim ties knot behind the neck and in back. Removable padding. Lined. 88% polyamide/12% elastane. Hand wash. Imported, China. Bottoms sold separately. This one-shoulder JADE Swim bikini top is updated with slim, diagonal straps in back. Double-layered. 78% nylon/22% lycra spandex. Hand wash. Made in the USA. Bottoms sold separately. Exclusive to Shopbop. Lightly textured Marysia Swim bikini bottoms in a cheeky cut. Scalloped edges. Double-layered. 88% polyamide/12% elastane. Hand wash. Imported, China. A signature scalloped bandeau top from Marysia Swim. Knot detail at front. Buckle closure. Unlined. 88% polyamide/12% elastane. Hand wash. Imported, China. Bottoms sold separately. 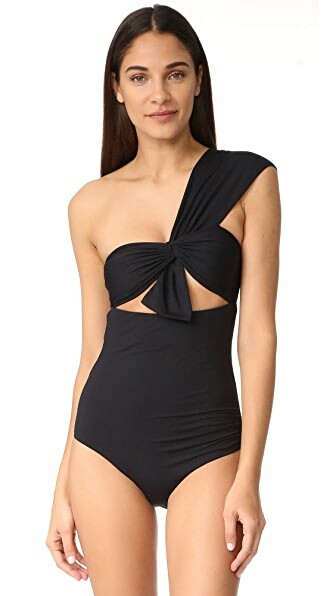 A one-shoulder Marysia Swim bathing suit with a touch of texture. Scalloped edges. Lined. 88% polyamide/12% elastane. Hand wash. Imported, China. A lightly textured Marysia Swim bikini top in a one-shoulder silhouette. Boning structures the sides, and a buckle fastens the back. Scalloped edges. Double-layered. 88% polyamide/12% elastane. Hand wash. Imported, China. Bottoms sold separately. 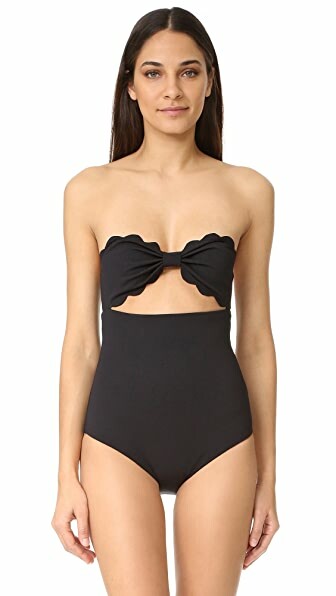 A cap-sleeve Marysia Swim one-piece with scalloped edges. Scoop neck and back. Double-layered. 88% polyamide/12% elastane. Hand wash. Imported, China. Handcrafted SAME SWIM bikini bottoms with embroidered detailing. Knotted sides. Lined. 82% nylon/18% lycra spandex. Dry clean. Made in the USA. Scalloped, laser-cut edges trim these Marysia Swim string bikini bottoms. Double layered. 88% polyamide/12% elastane. Hand wash. Imported, China. Lightly textured Marysia Swim bikini bottoms with signature scalloped edges. Hip ties. Lined. 88% polyamide/12% elastane. Hand wash. Imported, China. A handcrafted SAME SWIM bandeau bikini top, trimmed with contrast embroidery. Boned sides. Hook-and-eye closure. Lined. 82% nylon/18% lycra spandex. Dry clean. Made in the USA. Bottoms sold separately. A handcrafted, embroidered SAME SWIM bikini top with triangle cups. Knotted straps. Lined. 82% nylon/18% lycra spandex. Dry clean. Made in the USA. Bottoms sold separately. This lightly textured Marysia Swim one-piece has scalloped, laser-cut edges for a sweet finish. Halter straps. Buckle closure. Lined. 88% polyamide/12% elastane. Hand wash. Imported, China. Exclusive to Shopbop. A lightly textured Marysia Swim bikini top in a strapless silhouette. Boning structures the sides. Scalloped edges. Buckle closure. Double-layered. 88% polyamide/12% elastane. Hand wash. Imported, China. Bottoms sold separately.